Growing up in a military family, forever on the move, Cassie had a childhood filled with countless crazy adventures. Eventually, sunny Queensland stole her heart, and she now calls it home with her husband and their two BMX-crazy boys. Borderline obsessed with the paranormal world, Cassie has a passion for crafting stories involving strong, otherworldly characters in need of redemption. She’s a self-confessed book-a-holic and a sucker for a gut wrenching happily ever after. When she isn't narrating imaginary characters, Cassie loves binging on TV shows, spending time at the beach, and curling up listening to the rain. Cassie has written several paranormal suspense short stories and her debut paranormal romance novel, Unforsaken, will be published in 2018 by The Wild Rose Press. 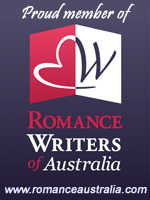 Cassie won the 18+ category of the Calliope Country Carnival Writing Competition with her paranormal short story Swallow Creek Spring Fair. You can read the whole short story HERE. You can find Cassie on her website: cassielaelyn.com.